Former Scotland prop Peter Wright believes full-back Stuart Hogg is good enough to make any international side, including world champions New Zealand and Grand Slam winners Ireland. Hogg scored a vital try for Scotland in their narrow 29-27 in Rome on Saturday against Italy, a result which saw Gregor Townsend’s men finish in third place in the Six Nations table. 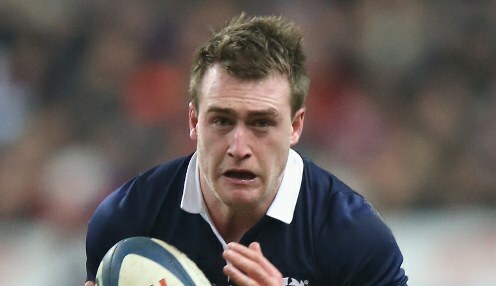 Having won the Six Nations player of the tournament for the two previous years, Wright believes Hogg would feature in any side on the international stage. "Would he play in the Ireland Grand Slam team? Absolutely," Wright told BBC Scotland. "He would get in any team in the world; he would get in the New Zealand team because he is that good." Wright added: "He's a wonderful player, he's got a great attitude. "He doesn't tolerate guys that muck around at training. He's really nasty to players at training in the way that, if they make an error and don't put their hand up, he'll have a real go at them and I think that drives standards." Scotland are 41.00 to win the 2019 World Cup, with Ireland at 6.00 to claim the title in Japan.